After Europe, the MSP reached the North America particularly in the Diocese of Sacramento in California, the United States of America. Fr Alfredo Africa Jr MSP was the first MSP missionary sent to that diocese. He arrived in the diocese in June 2007. Shortly after his arrival, Fr Africa was appointed as the Parochial Vicar of St Clare Parish in Roseville on July 18, 2007. About two months later, on September 27, 2007 to be exact, he received a new appointment: as the Parochial Vicar of two parishes which are about four miles apart. The two parishes are St Patrick in Jackson, CA and Immaculate Conception in Sutter Creek, CA. Then, in 2008, the MSP sent another missionary, Fr Glenn Giovanni Jaron. 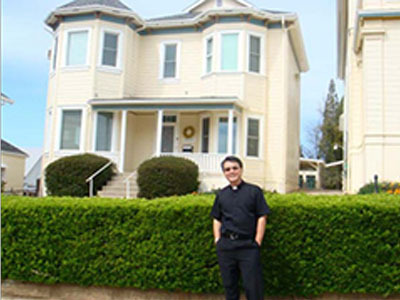 He was assigned as an assistant parish priest of St Peter & Paul Parish in Rocklin, CA.